Jessica Vought joined the Online Stores family in April, 2009, and has continued to work to drive the company forward ever since. She was hired as the Shipping Manager, but by the close of 2010 had been promoted to Warehouse Operations Manager with the increased responsibilities in managing the Production and Warehouse departments. 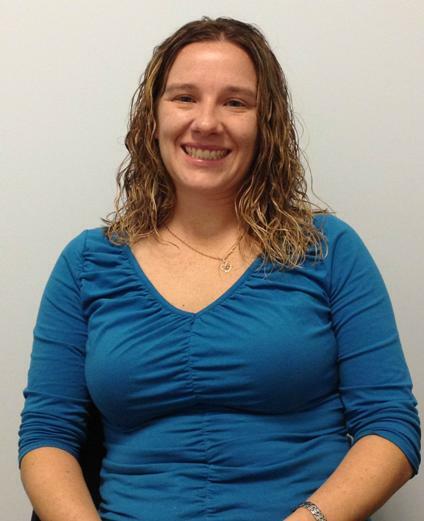 Prior to working at Online Stores, Jessica worked at Hoss’s Steak and Sea House as a General Manager for 5 years. She decided that she wanted to trade in her experience in food service for something new and found Online Stores at a career fair in early Spring of 2009. She continues to work to provide the best fulfillment experience possible for our customers. Jessica’s role involves planning, delegating and follow-up on all work in the warehouse, which involves much more than shipping packages. She oversees the Warehouse team, which receives the merchandise and makes sure it gets stocked in a timely fashion. She also manages the Production team who manufactures the flags for our customers. Jessica is constantly working to improve the processes in her departments in order to offer better ways for employees to provide great service to our customers. Jessica graduated in 2011 from The Pennsylvania State University with a B.S. in Business Administration with a specialization in Marketing and Management. Her studies and degree have helped her immensely in her position here at Online Stores. When asked what her favorite part of working at Online Stores is, she replied “It is a challenging work environment, and I enjoy meeting those challenges every day.” When not working, she enjoys spending time with her husband, whom she met while working at Sony, and her 2 daughters. She also has 2 dogs: T-Bone, a Jack Russell, and Coco, a German Shepard, and 3 Cats: Casper, who is all white, Daisy, who is all black (and Casper’s sister), and Cooper, who is a Mainecoon. Jessica loves to travel and her most memorable vacation was to Las Vegas. Jessica and her husband used to take 3 vacations a year prior to having children, and now love taking their daughters to new places and sharing that with them. Thank you for sharing, Jessica! else realize such specific approximately my trouble.